The design is contemporary and clean—use as is or easily change color palette and details using the included LESS files. 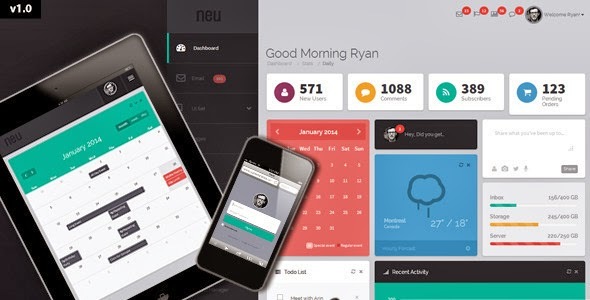 Item Reviewed: Responsive Bootstrap Admin Theme 2014 9 out of 10 based on 10 ratings. 9 user reviews.